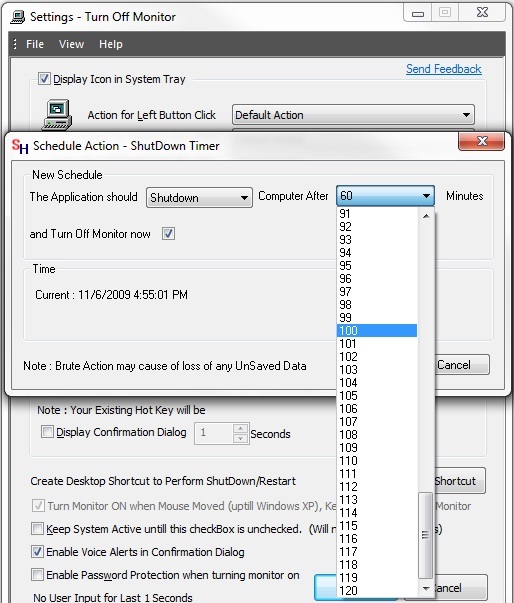 Shut Down your Computer Automatically after selected duration with Turn Off Monitor Utility. 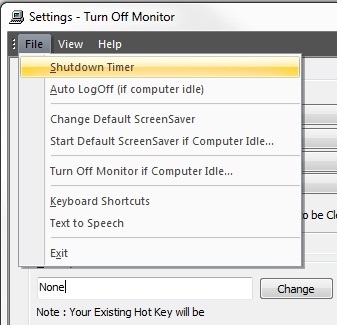 Launch the Turn Off Monitor Settings from your desktop Shortcut. And then below that by default Turn Off Monitor now will be Marked if it is Marked when you press OK the Monitor Screen of your Computer will Turn Off Instantly and if you Unmark Turn Off Monitor now then after pressing OK your Computer Screen will not Turn Off. You can Select which ever Suitable for you. And After the Selected time your Computer will be Automatically Shut Down.